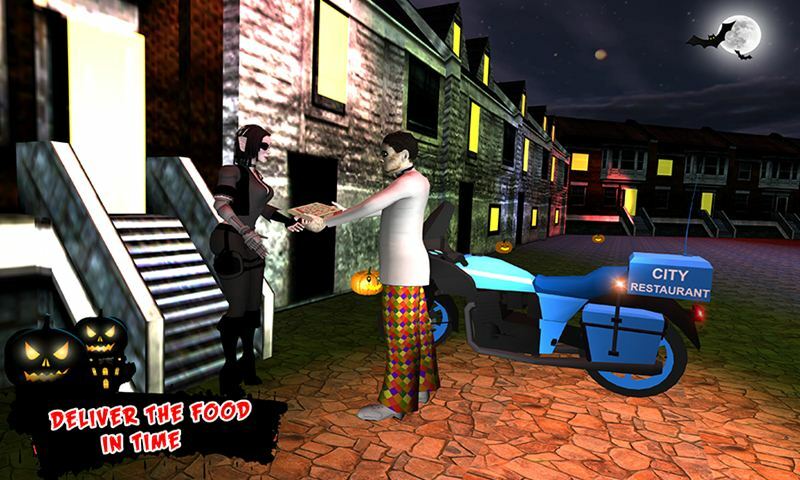 Enjoy Halloween night with your friends in party restaurant and deliver food in the city with the help of your bike. Serve the food to the customer and get best employee award from the restaurant. Help the kitchen chief to wash the dirty dishes and clean the restaurant before the customers arrive. Show your driving skills and deliver the fast food on time in the grand night city. 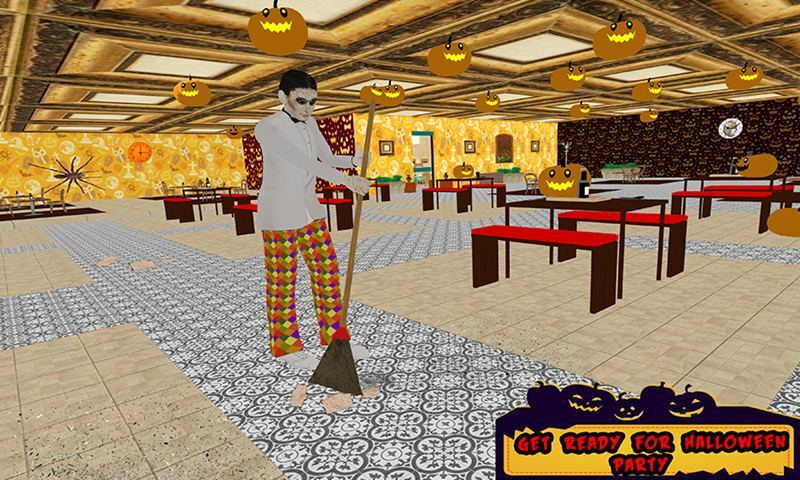 Halloween Party Restaurant Waiter is entertaining game for all Halloween party game lovers. Open the city restaurant and switch on the light with the help of your freaky player. Pick the brush the clean your restaurant and provide fresh hotel environment. Start your dark night with haunted party and serve the Halloween food the customer in the strange night. 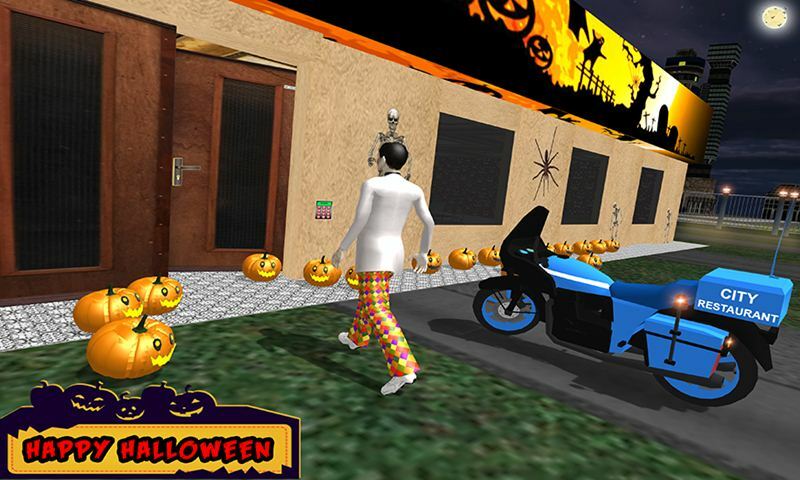 Halloween Party Restaurant Waiter is thrilling game with haunted gameplay where you play as restaurant waiter as well as delivery boy to deliver the food in the city on your sports bike. Start your game to drive your bike and go to the restaurant. Open the restaurant and manage the table for the customers. Serve food, wines and stator to provide best restaurant facility. 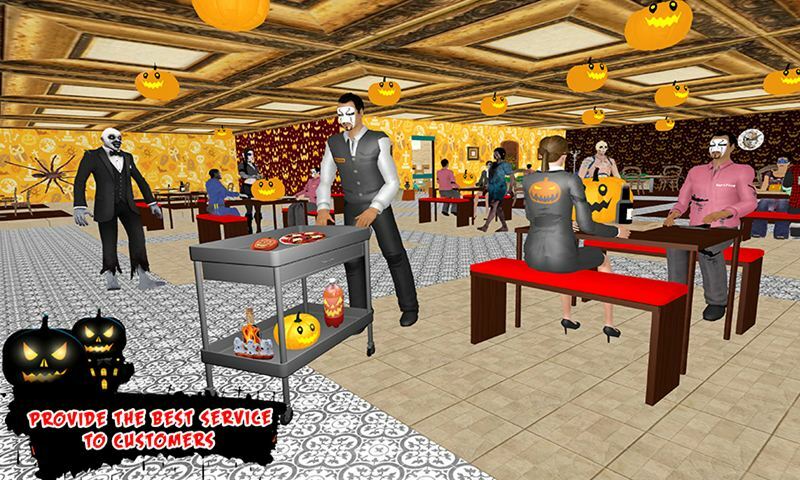 Manage whole restaurant environment to feel real Halloween night atmosphere. 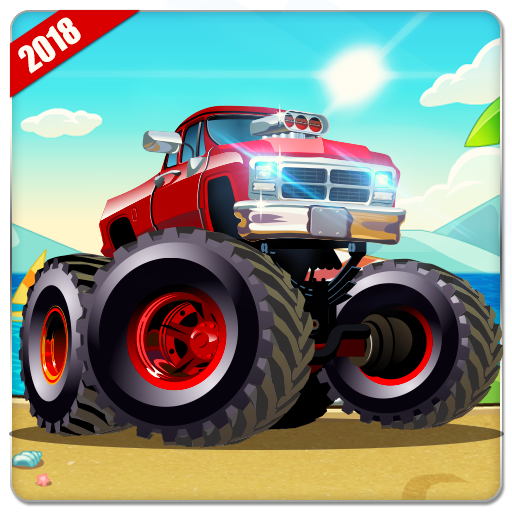 Choose your favorite strange characters as well as bike and beat your rival time to deliver the food in the city. 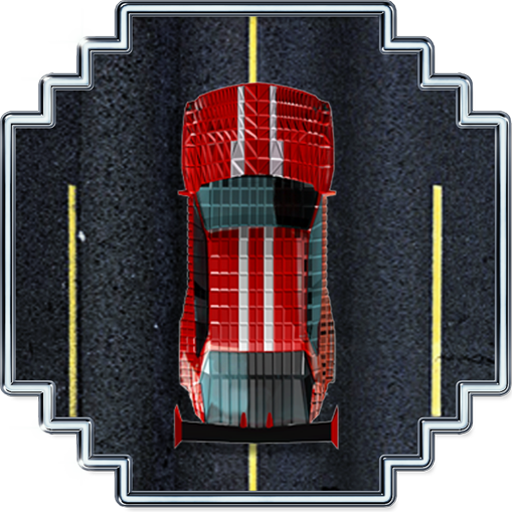 Collect the checkpoints and move on the right path in the haunted roads. Serve the best food to the customer and increase your experience as a waiter. 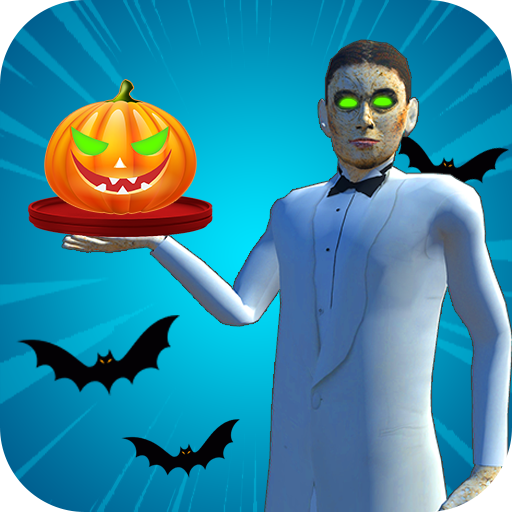 Halloween party waiter is specially designed for Halloween night and haunted atmosphere.